We have 15- 20- 30- 40 cubic yard roll off boxes! We service Kershaw, Richland, and Fairfield Counties. *All Dumpsters are prepay and have 2 week limit without rent. Placement should be where truck can get without tearing up septic tanks, cement drives, low hanging trees and power lines. NO: Toxic, Hazardous, Flammable Material, Household Trash, or Electronics. Pick the size that best fits your needs. This is unacceptable! All contents must be within the walls of the container. 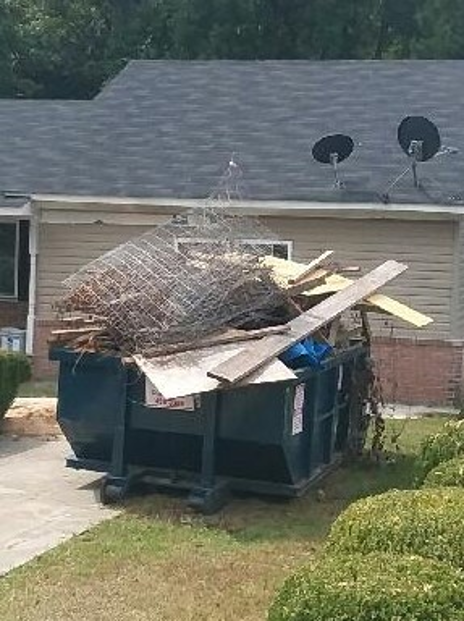 We will not move this and a fee will be charged for any items we have to remove before hauling.